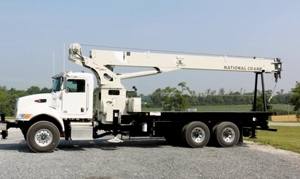 National Crane’s all-new NBT30H-2 boom truck is being pitched as an ideal crane for the tree care industry (TCI) that offers unmatched versatility and roadability, as well as an option to have the longest boom in its weight class. The crane was showcased at the company’s booth at the TCI Expo last month in Pittsburg, USA. 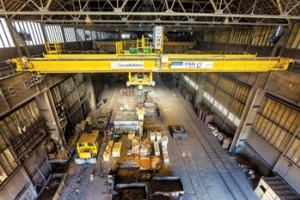 Stahl CraneSystems and its Dutch partner CraneBuilders have developed a crane for steel producer Nedstaal that best suits the rough environment in which it operates, ensuring efficiency, safety, energy savings and less wear and tear. Terex Material Handling has launched a new hoist unit with its Demag DMR modular rope hoist which offers a broad range of components that can be configured to create a rope hoist to meet the customer’s specific application needs. “Flexibility in configuration of the rope hoist is unparalleled in the market. Seven Konecranes industrial cranes, ordered by Austrian machine engineering company Maplan, are to be delivered during the second quarter of 2016 at the company’s production facilities in Kotingbrunn, Austria. Maplan is the quality and technology leader in elastomer engineering.